Hair loss is the common problem among the people and most of the people are confused in Is hair transplant is good or not? 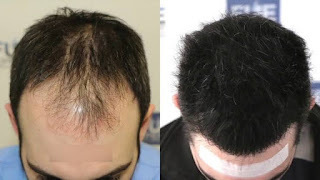 Yes, hair transplant is good option and very consistent way to deal with baldness .In fact hair transplant is the only permanent solution for baldness .Hair transplants can really positive impact on the quality of life of the patients . Hair transplant is a surgical procedure in which hair follicles are transplanted from the donor area. It is a treatment for baldness and suitable for both men and women. There are two types of hair transplant treatment, FUE (Follicular Unit Extraction) and FUT (Follicular Unit Transplantation ) .Based up on the density and thickness of your hair, you can make the choice on which type to undergo . FUE is a no-stitch technique in which grafted follicular units are implanted in the balding area ,that gives the best result in terms of hair density gained and reduces possibility of scars. This method is especially useful in cases of pattern baldness which is technically known as androgenic alopecia .The FUE hair transplant surgery is performed under the supervision of professional hair treatment specialist by giving anaesthesia. The surgeon begins by extracting follicular units out of donor area. Those taken grafts are kept in a holding solution till the time recipient area is prepared.The last step consists of implantation of these extracted follicles to create the hairline as per consultation instructed by patient .This procedure is less painful compared to earlier transplant treatments and they tend to produce more advantages also . 1) Helps to restore your balding, receding and thinning hair . 2) Ensures a natural looking hair line . 3) Low risk of complications. 4) Less downtime to heal the wounds. 6) Invisible linear scars or stiches . 1) people with smaller area of baldness . 2) who need fast recovery from surgery . 3) For the people who have fear of cuts and stitches. 4) suitable for active life style person like sportsmen . After hair transplantation generally it takes three to four days for donor area redness to heal and for some people it takes a week to heal . 2)CANADA : $ 3 to $ 7 per graft. 3)AUSTRALIA : $ 3 to $ 5 per graft. 4) EUROPE : $ 8 to $ 15 per graft. 5) INDIA : $ 1 to $ 3 per graft. 6) TURKEY : $ 3 to $ 10 per graft. *** graft depends on the hair type and hair thickness. On average there are 2 - 4 hair stands in one graft .